Vienna: What’s next for Austria’s national stadium? Vienna city councilor for sports and culture Andreas Mailath-Pokorny gave an interview for “Der Standard”, in which he commented on the issue of national stadium. As we wrote last year, there is an ambition to change the current Ernst-Happel-Stadion. The councilor reminded that there is a feasibility study ongoing and it will indicate the way to go with this project. According to him, the most likely option is upgrading the current structure, if it’s economically reasonable. If not, it might even stay the way it is. This would stand in opposition to the plans of Austrian football federation, ÖFB. 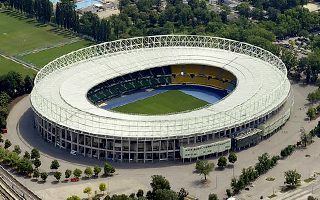 The governing body hopes that, with support of Austria’s sports ministry, construction of a completely new, football-specific stadium would be possible. “There is no cancellation. The current state is that after we have the experts’ report, a discussion on its results will follow”, the federation was quoted to respond.